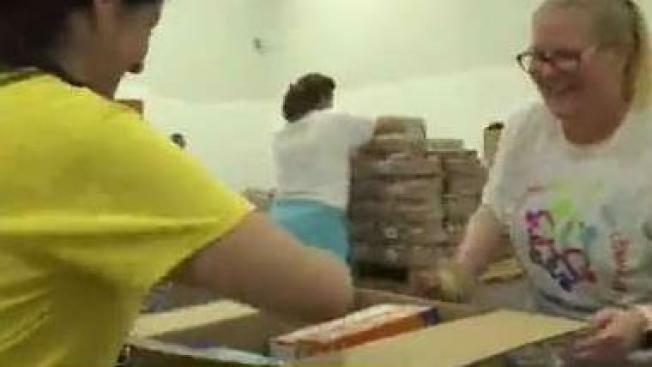 Local organizations are gathering donations for victims of Hurricane Michael. NBC6 Reporter Arlene Borenstein reports. Florida officials have evacuated nearly 3,000 inmates after two prisons were damaged during Hurricane Michael. Three prisons - the Gulf institution and annex, the Gulf Forestry Camp, and Panama City Work Release Center are closed until further damage assessments are made. Search and rescue personnel are continuing to comb through the ruins of a small Florida Panhandle community destroyed by Hurricane Michael, which has left hundreds of thousands without power and without easy access to supplies.